Hello Kitty POP Phone - Cute & Practical Find - It's Gravy, Baby! My dad is still waiting for me to outgrow the Hello Kitty phase… It’s not going to happen though! I have adored Hello Kitty for as long as I can remember, so the Hello Kitty POP phone caught my eye right away. It’s such a fun accessory for the iPhone, but it’s also compatible with mobile phones, tablets, and computers. You can see a full list of compatible devices in “Compatibility” section on the website- adapters are available for some devices. I’ve saw several of these retro-style phones, but this is definitely my favorite. I’m not sure it can get better than a Hello Kitty shaped phone and the bow just tops it off. Nothing beats function and style! 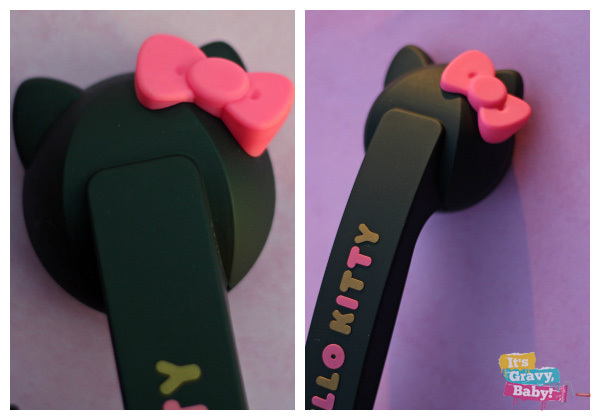 Not only is the Hello Kitty POP phone cute, but it’s actually quite practical too. I like that it works with Siri and it’s comfortable to talk on. The texture is soft so it doesn’t catch your hair and pull it like many of the rubber accessories. Please tell me I’m not the only one this happens to? If you sit at a desk a lot, I think this would be very handy to have around and keep plugged in during the day! Kids love the POP phone too. Bella talks on it daily and carries it around with her. 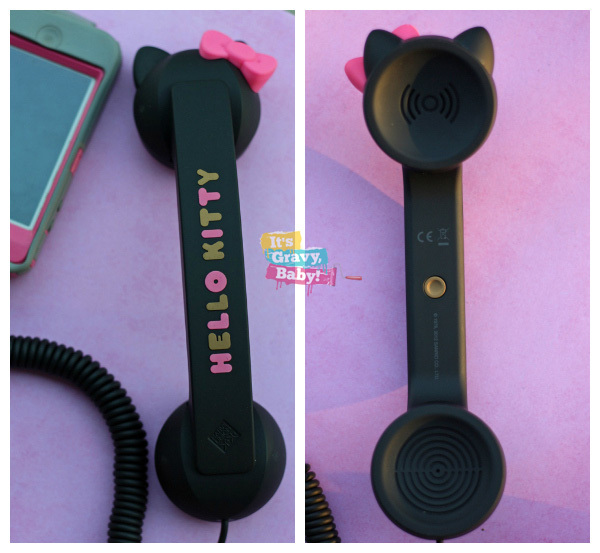 You can order the Hello Kitty POP phone online at NativeUnion.com. There are three colors available for $39.99 each. We received the Hello Kitty POP phone for our review. All thoughts & opinions remain my own.